﻿ Jinhold Service Apartment, Kuching | FROM $19 - SAVE ON AGODA! "The apartment was good, i am comfortable to stay here." Have a question for Jinhold Service Apartment? "Had another great stay !" 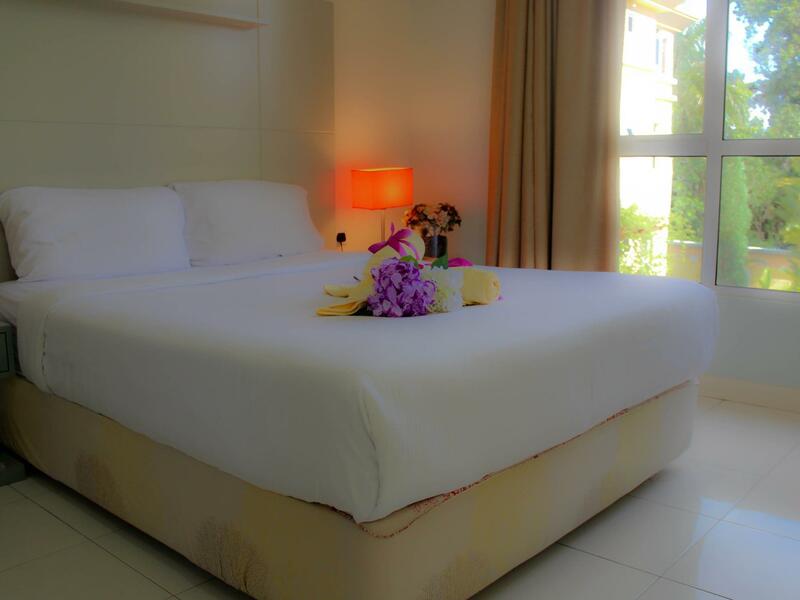 Featuring spacious, comfortable guestrooms with a kitchen and living room, some also have their own private balconies. 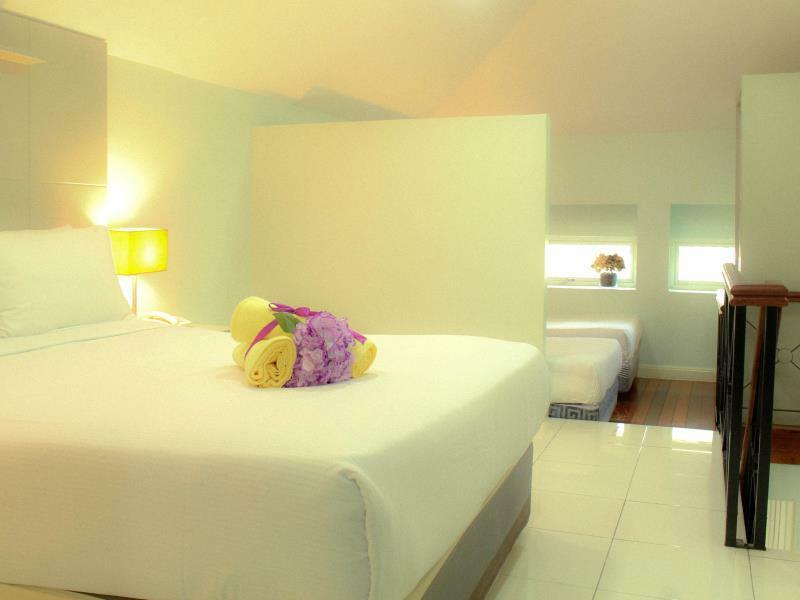 Jinhold Service Apartment is one of a kind in Kuching. Located within an easy walk to a shopping mall and all the restaurants and coffee shops, this property is a short 15 minutes drive to the city center of Kuching. For guests’ convenience, the apartments and studios come with a kitchen or kitchenette and also feature an en-suite bathroom with a shower. 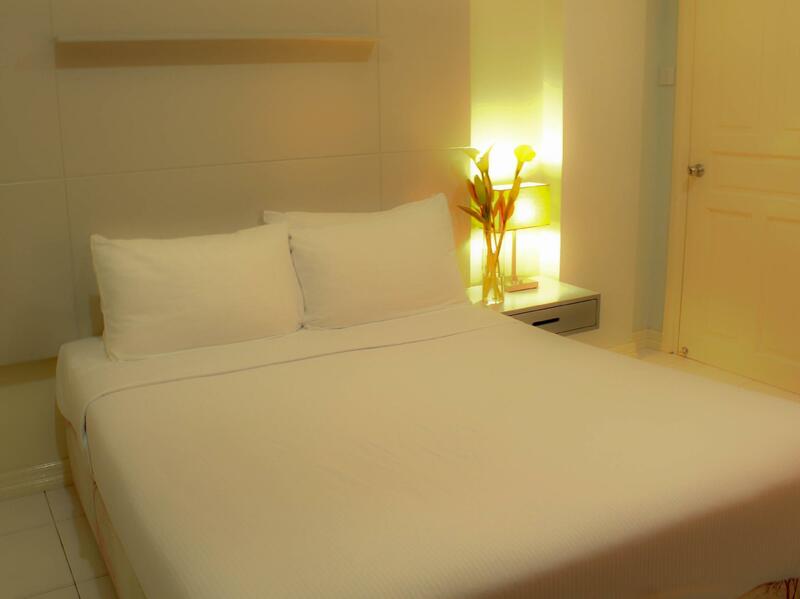 On-site, guests will find the on-site gym and free self-service laundry facility. Nevertheless, visitors can park their vehicle safely at the privately secured parking lots. 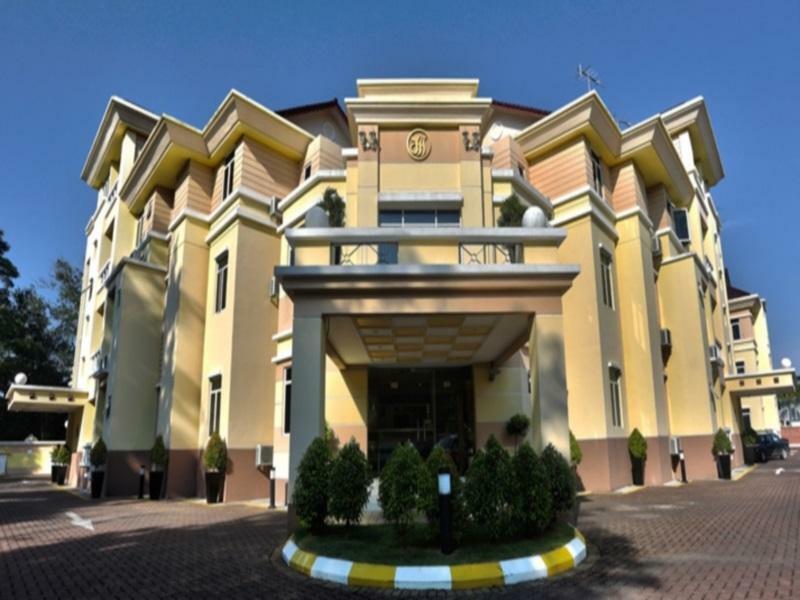 Jinhold Service Apartment is located in the center of the city of cats with a very green and peaceful environment, which is close enough to be very convenient. "Very good value and a beautiful complimentary breakfast ever..."
Airport transfer is available from 07:30 AM to 06:30 PM. Stayed at the 2 bedroom appt. On the ground floor. One of the rooms facing the front gate and road. Amenities satisfactory. Bfast horrible. Every night we heard sounds of moving furniture from upstairs till 3am. Quite eerie. For the price, its an okay place to stay. Breakfast was provided; would recommend them to replace the chef though. There's a cooker inside the unit im staying, didn't test it. Room is spacious. Washroom design a bit outdated. No elevator to get up to higher floor. Google map fail to locate the premise correctly, turn left at the traffic light before the church. street leading to the apartment is quite scary + dark at night, suggest to put a signboard at the corner of the road so people would be more confident entering the dark street. The pros is that, its a value for money, especially when u got a deal with agoda. Great space and room to chill. The location is good bcause its not located at the centre of the city. Dont find much of the cons really, but i do like to add some small detail of recommendation, just put a cooking oil in the kitchen thats it, its not a problem, but it would be nicer. Overall great service apartment. I definitely coming back sooner than later. Hotel is good in location just have a little advise that I think hotel management need do signal board that where is the entrance to your hotel when at outside road. Because firstly I using Google maps guide me and maybe still haven't updated then I need to do a big U-turn go to hotel again. The hotel is inside housing area so a quite difficult to find if first time in Kuching. Counter staff is friendly. Hotel clealiness is good. Have security at outside so not so worried if parking the car at parking lot. Great value of money. Our room is big and comfortable. My family were so surprised and excited of the room capacity. Will book at here again if I go to Kuching. Its clean.. The apartment is big.. Quiet environment..
Great value for money - really useful to have the laundry facilities available for a long stay. Breakfast is really good ! Staff are great ! Had another great stay !